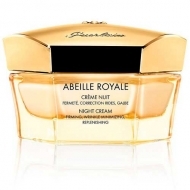 Provides radiance to the skin. 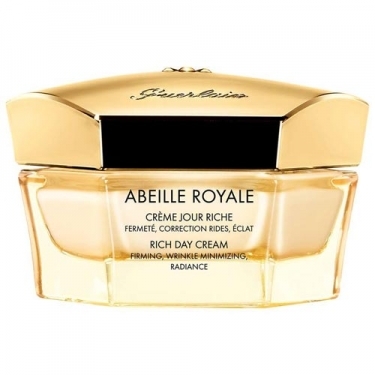 DESCRIPTION: Abeille Royale Crème Jour Riche from Guerlain is a cream that transforms the appearance of the skin instantly and over time. Day after day, wrinkles and fine lines are smoothed, the texture of the skin is refined, the skin is firmer and the glow increases. The exceptionally delicate texture of the cream leaves no oily pellicle. Apply in the middle of the face and work out. Steady: Gently motions with your fingertips along the outline of your face. Repeat starting 2cm above and towards the hairline. Smooth: Lightly touch your fingertips on the face, paying special attention to areas prone to wrinkles.